That’s the first thought that came to mind upon finishing Ann Voskamp’s One Thousand Gifts. Not just the poetic style of her writing, but the insightful nature of her message. It brought me on a journey from the state of assumption, complacency, and ingratitude to the country of joy, awareness, and appreciation. After walking with Ann Voskamp through her pilgrimage towards gratitude, I found that my own journey down the same road had begun. Reminds of me a Peter Mayer song. Notably well timed in my life to coincide with my own struggles about finding joy in the simplicity, there were a great many mind shattering illustrations within the colorfully lyrical text. 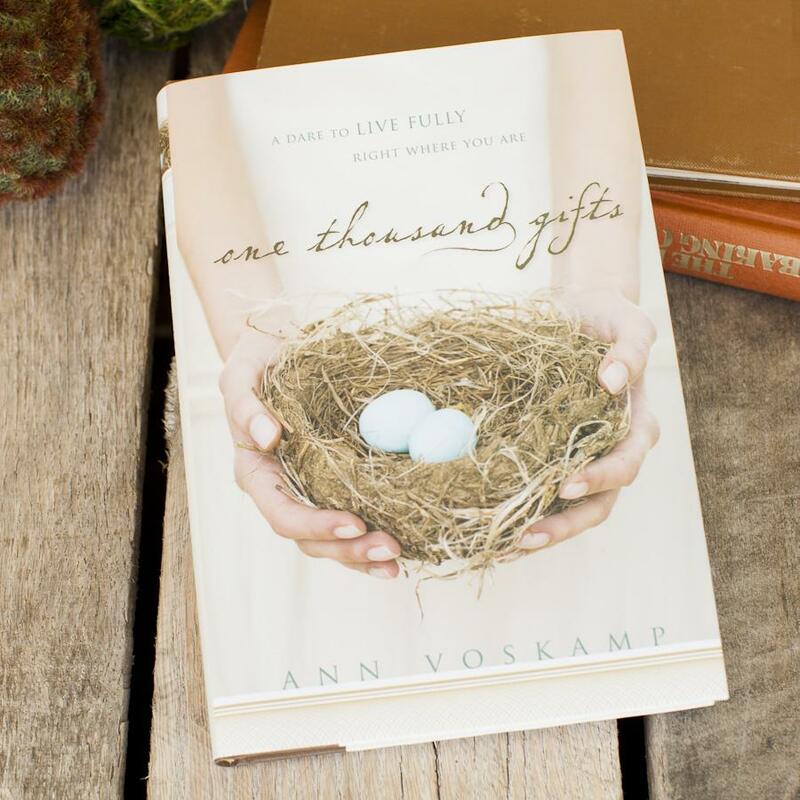 Through a beautifully woven metaphor, Ann Voskamp compares life to meal, and asks us to consider whether we savor our lives like the incomparable blessings that they are, or whether we wolf down our moments in an effort to get the the next great thing, never fully taking the time realize the glory of our existence. Whoa. How often do we search needlessly for that sense of fullness? How often do we rush through this world, appreciating none of the beauty around us, endlessly questing for that experience, that person, that thing that will fill the hole? What if you were already full, and you just didn’t notice? I couldn’t pick the book up again for a whole day after this. Which completely reframes stress in my mind. Stress used to be something that happened, uncontrollable, a product of circumstance. Suggesting that stress is a choice, and that it can be completely circumvented through trust and gratitude, is contrary to every modern American’s everyday practice. We practice stress. We practice being victims of our jobs, or families, our financial situations, our spouses. Truly, how can you actually believe in any higher power and still practice stress? She makes a point that you can’t. She goes on to show the value of gratitude for loss, for pain, and suffering. She illustrates clearly how rigidly attempting to mandate joy and gratitude defeat the purpose. Gratitude is the door, and on the other side is joy. In the beginning of the book, she draws a stunning picture of the Garden of Eden, and of Adam and Eve living there. In the story, they were fooled by a snake who convinced them of one simple thing. What you have is not enough. They were living in paradise. But they thought there was more. What if you and I are living in our own paradises right now, toiling needlessly towards an unattainable, undefined “more”? What if the only thing we need to do to find our paradise is to notice it? This entry was posted in TrûAwake, TrûGratitude, TrûSelf and tagged ann voskamp, blessings, book, gratitude, review. Bookmark the permalink. I'm a small town mama's boy. I enjoy yoga, guns, music, tea, dancing, hiking, and an enriching conversation.